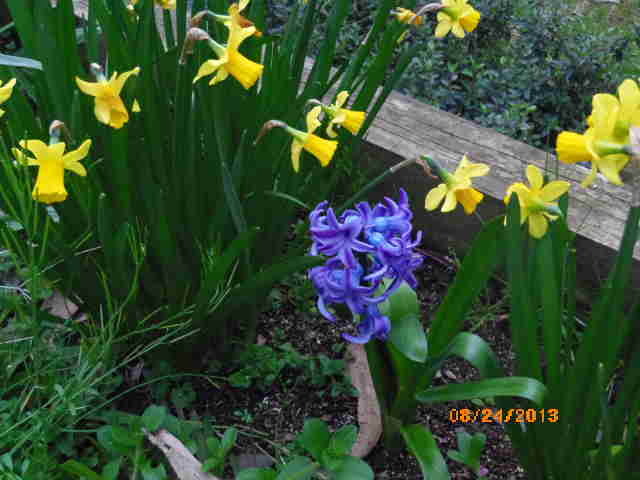 Patra's Other Place: Eye Candy Only - flowers, cats and possums. I'm OVER the election - had enough of the hype from all sides, so I decided to take some photos for my blog. 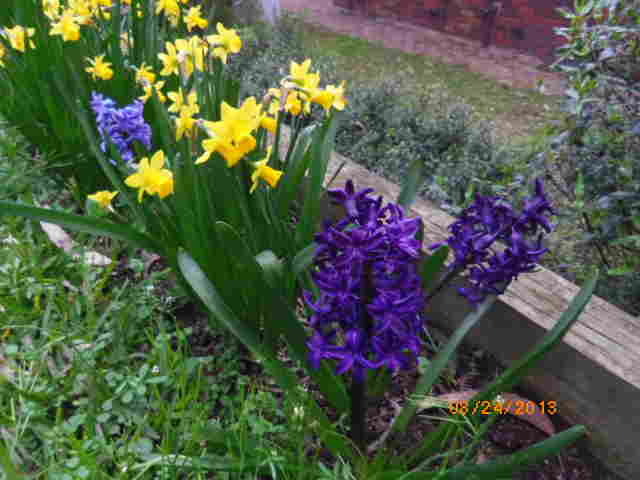 First off are the flowers gracing our back yard at the moment. 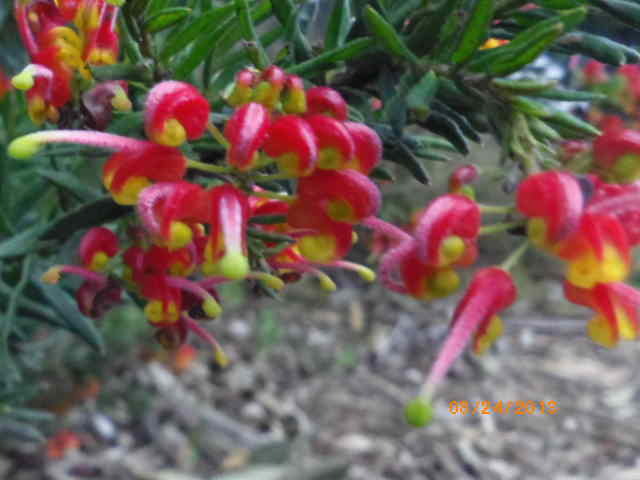 The rain in the last year or so has made a huge difference to the landscape - everything is green and trees, shrubs and small plants are flourishing all around Melbourne! 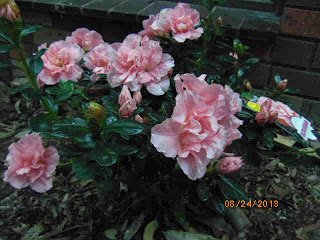 We planted this lovely Azalea about six months ago. From a few leaves on a stalk in a pot, it has come to this - beautiful! 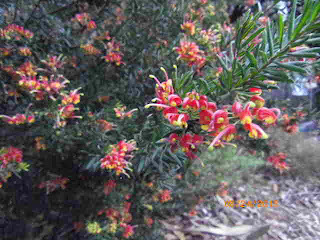 The Grevillea is a popular native plant in Australian gardens and we have several of them. This one called "Firecracker" is my favourite because like its name, it almost explodes into a profusion of scarlet and yellow flowers. 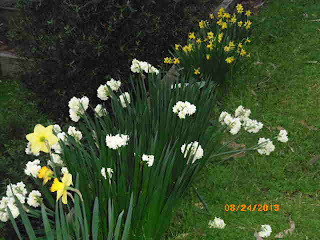 The white Jonquils and golden daffodils are nearing the end of their cycle, but despite being blown over and rained on, they still stand up when the weather calms down. A couple of rogue Hyacinths peep out between the miniature daffodils. Topsy sat still enough for me to take this picture of her, with her little white bow tie showing. 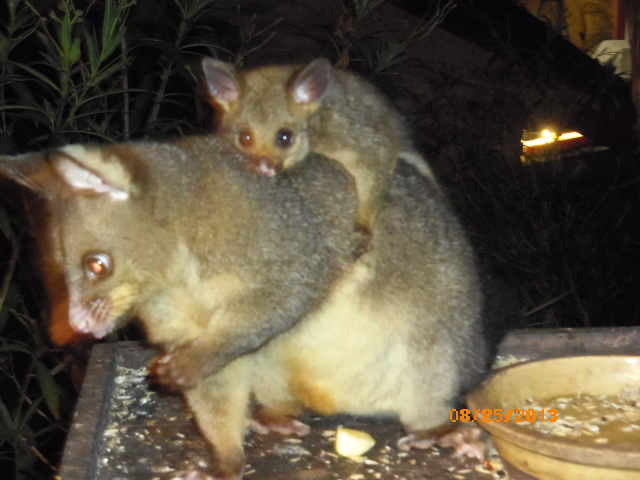 Mother possum has been bringing her baby down to the feeder every night, and she doesn't seem to mind the camera flash, although after a dozen photos, she seems to get tired of the fuss, and climbs up the nearest tree to get away from me. Well, snap! 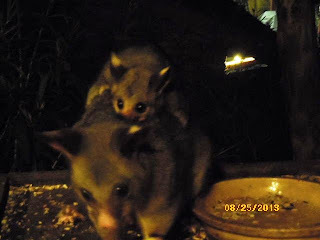 Though I'm pretty sure we don't have any possums in our garden... .
LOL! 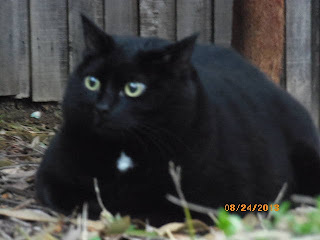 But I bet you have some interesting critters that we don't have.